Recording lectures, educational videos, television conferences, and so forth are all possible using our high-definition real-time image editing system. The operation involves a simple touch-screen panel. Since the images are all high-definition, the script and graphs in the documents are all clearly displayed, thereby making it easy for students to grasp the content. 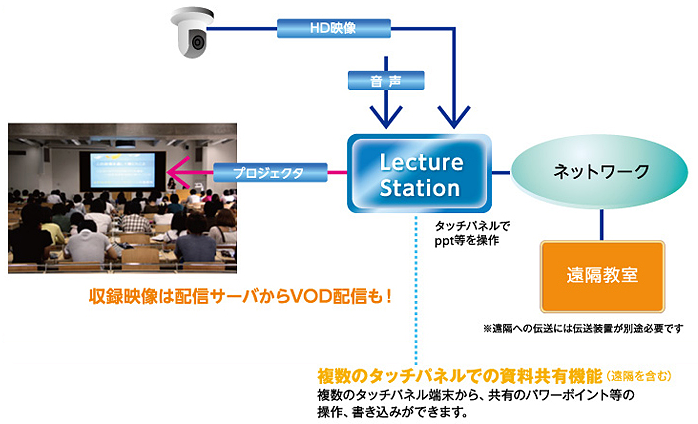 Since we use an encoding function, streaming distribution is also possible. Copyright(C) ADS Co. All Rights Reserved.